Billy McKinlay's departure from Watford after a little over a week and two games in charge provides us with another of football's "what the actual f---" moments. The brevity of his reign will be added to the annals, alongside Leroy Rosenior's 10 minute stint at Torquay and Dave Bassett's four day jaunt at Crystal Palace. And, of course, the failed appointment that has become the most famous of them all - Brian Clough's 44 days in charge of Leeds United, the stuff now of novels, film and legend. McKinlay eclipses another Scot in English football's managerial shorts hit parade, Alex McLeish lasting just 40 days at Nottingham Forest in the winter of 2012/13. But we've got to return to Leeds United to find an often overlooked example of the "in and out" managerial reign. It involves maybe the greatest of all Scottish managers. Of our Holy Trinity, Bill Shankly and Matt Busby performed their miracles exclusively at English clubs. 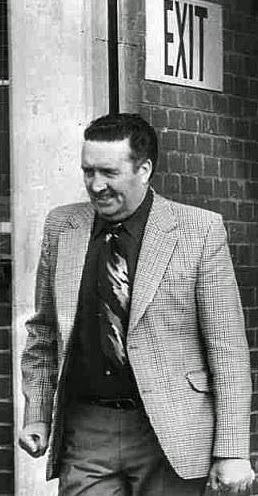 Jock Stein is unique in achieving his footballing immortality without leaving Scotland. Sir Matt Busby tried to persuade him south to Old Trafford but Stein wouldn't budge. It wasn't until after his departure from Celtic that he crossed Hadrian's Wall, joining Leeds United in 1978 at the age of 55. And, just four years on from Clough's explosive time at Elland Road, Stein too would last just 44 days in Yorkshire. Stein must have looked like the sort of candidate that could return Leeds to the glory days of the Don Revie era. Indeed Mick Jones, Leeds United's centre forward of the time, reckoned that Celtic were the finest team Leeds had played against when Stein trumped Revie in the 1970 European Cup semi final. Even then it's been suggested that Stein was only the board's third choice. Stein might have known that - he didn't have the chance to be picky because the job offers were, amazingly enough, not rolling in. At the same time, however, Scotland were in a state of flux. Ally MacLeod was limping along as manager having taken the national side to Argentina and not, as it turned out, winning the 1978 World Cup after all. MacLeod lasted just one more game after the 1978 tournament. Which left the position of Scotland manager vacant with Stein, the obvious candidate, weeks into a new job. "In my deepest subconscious I felt Big Jock was trying to force the SFA's hand. The big man wanted to be the fulltime manager of Scotland and when he moved to Leeds he made the SFA change their way of working and made him the most powerful manager they'd ever had." If Gray is correct then it's a fairly impressive illustration of the size of Stein's personality and the value he saw in the Scotland job that he was prepared to use a club like Leeds as a pawn in his game of chess with the SFA. That Stein apparently never had a contract with Leeds and didn't move his family south might support this theory. Others are less convinced that he had a predetermined idea of how it would end. Rather they saw him bereft at being jettisoned by Celtic and the Leeds job coming along at the right time. It was a marriage of convenience that his heart was never really in. His record at Elland Road reads ten games played, four wins, three draws and three defeats. Respectable but not stunning. The Scotland job was his get out clause - just days after MacLeod was sacked Stein was privately briefing journalists that he'd be interested in taking the national job. Leeds refused permission for the SFA to talk to him but they could do little to prevent him resigning. That's exactly what he did. He was officially appointed Scotland manager on 5th October 1978 - the day of his 56th birthday. He'd remain in the post until that tragic night in Wales in 1985. The sparks didn't fly. Novels would not be written. When Jock Stein left Leeds United after 44 days there was regret in Yorkshire but nothing like the scorched earth recriminations that followed Clough's departure. Stein was able to move into the role that he saw a more natural progression for his post-Celtic career. And his time at Leeds United is proof that even the greatest managers can sometimes find themselves in jobs that just don't suit them.